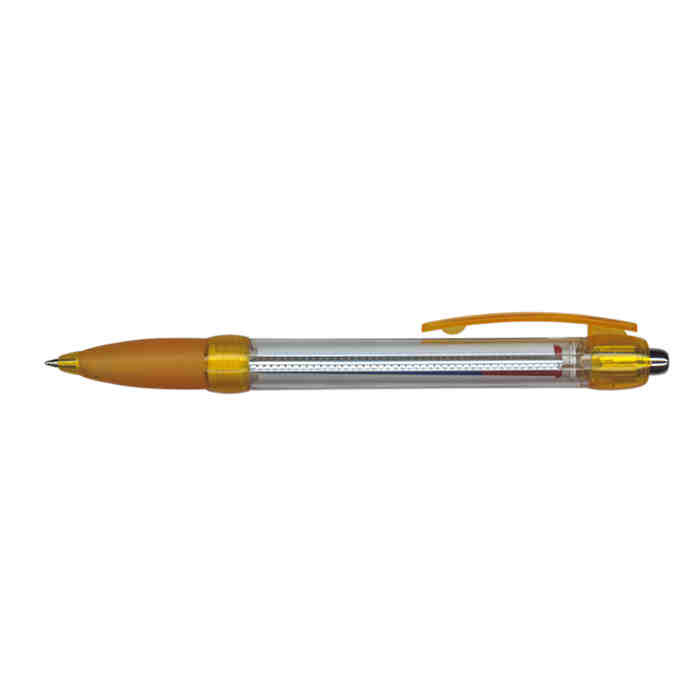 A pen featuring a pull out flag banner that can be branded in full colour on both sides. 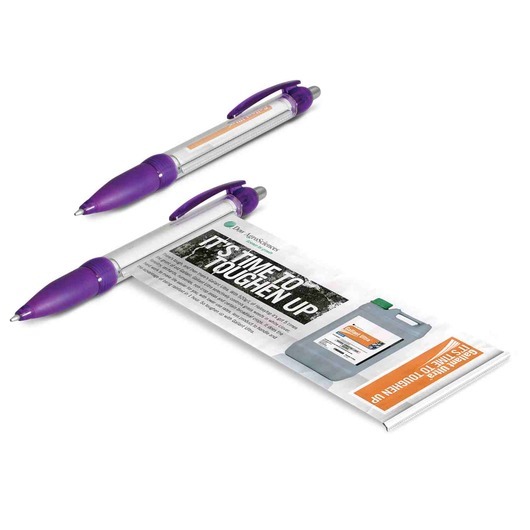 Bring attention to your brand with some of these flag banner pens. They take a little longer to be produced, but the wait is worth it. 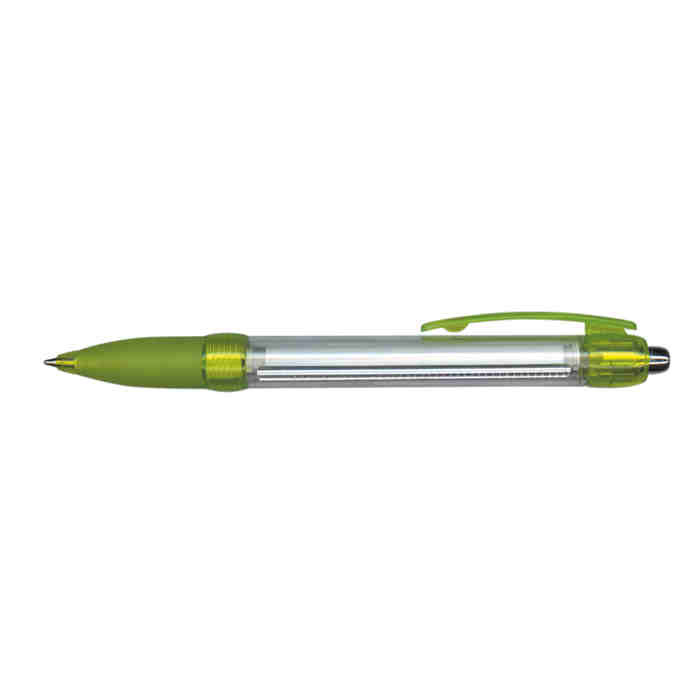 They're a retractable plastic ball pen with a clear barrel, translucent soft rubber grip and a pull out flag which can be branded in full colour on both sides. 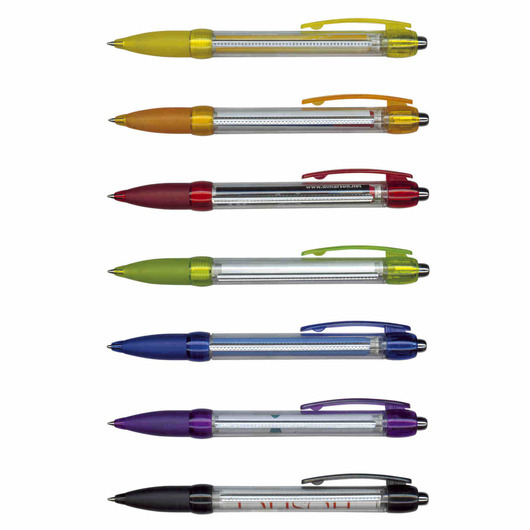 They come with your choice of either a blue or black 1200m ink cartridge. These are costed with a sea freight (ask us for pricing on air freight if you need these sooner).